A research paper showing how collaboration between business and academia can identify the most urgent research priorities to ensure the sustainability of food, energy, water and the environment is published in the journal Sustainability Science. The paper draws on the Nexus Network Nexus2020 activities, led by the Cambridge Institute for Sustainability Leadership. Companies both depend upon and impact the environment, sitting within a ‘nexus’ of interdependent pressures over food, energy, water and the environment. Yet their perspectives are often overlooked by the research community which lacks access to their business thinking. Equally, businesses find it challenging to engage with the academic community, and to define researchable questions that would benefit from more detailed analysis. 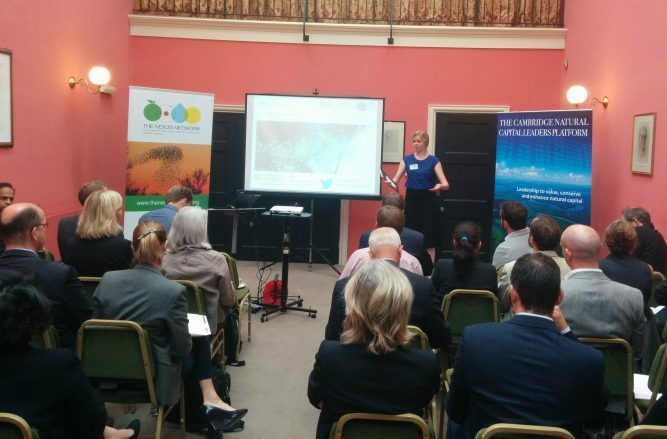 Nexus2020 engaged over 250 people, including academics and companies such as Asda, EDF Energy, HSBC and Nestlé, to co-produce research priorities that are scientifically feasible and also include outputs that can be practically implemented by the business community. “The process of co-design engages businesses at the outset to help define the challenges, limitations and ambitions of research agendas. These considerations ultimately have important consequences for the impact and practicality of research outputs,” says lead author Dr Jonathan Green. “Greater investment in the complex but productive relations between the private sector and research community will create deeper and more meaningful collaboration and cooperation”. understanding incentives or circumstances that allow individuals and businesses to take a leadership stance on these issues. You can read the paper on Sustainability Science website.